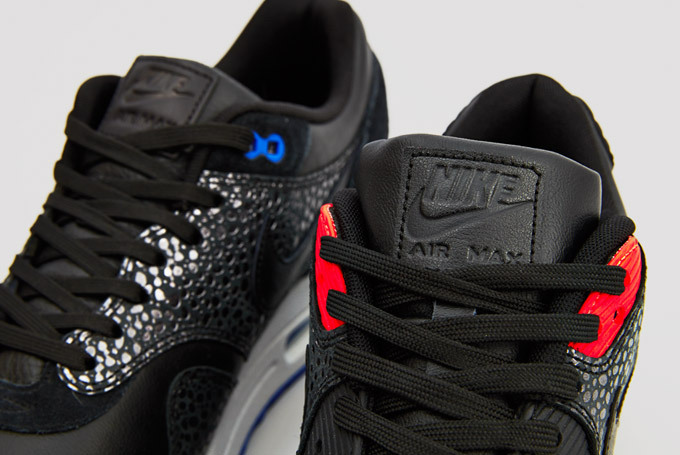 The Nike Air Max 1 joins the AM90 as far as "Safari" looks go. 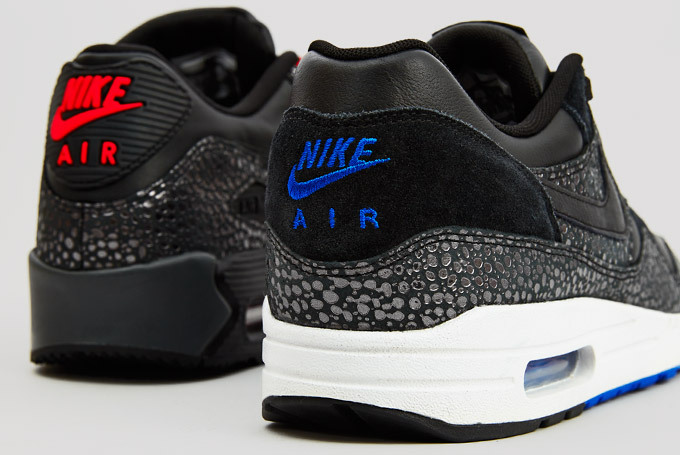 The recent Nike Air Max 90 "Safari" has a companion pair. 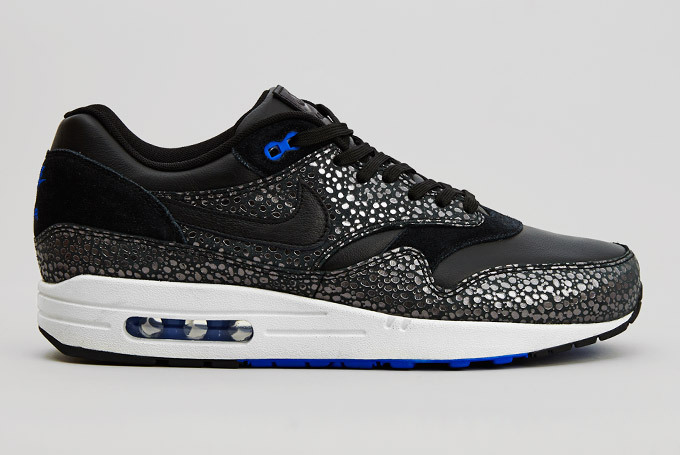 That would be this Nike Air Max 1, which again picks up on that ever-more ubiquitous print. 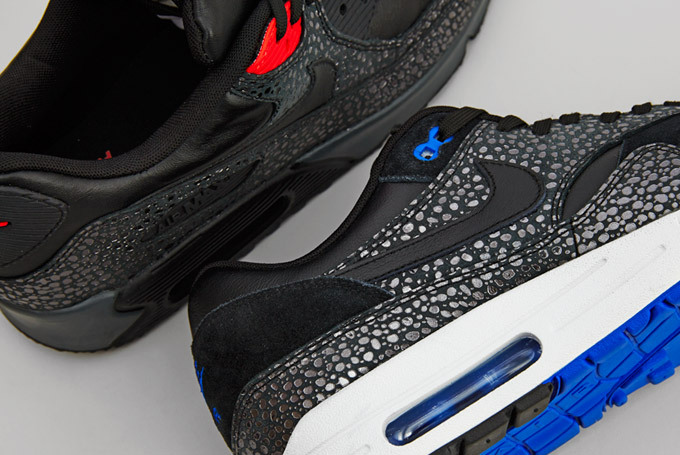 We all know the Air Max 1 "Safari" road is one we've been down before, and perhaps there's a little bit of doubt as to whether or not the likes of atmos' early creation in that realm can be topped. 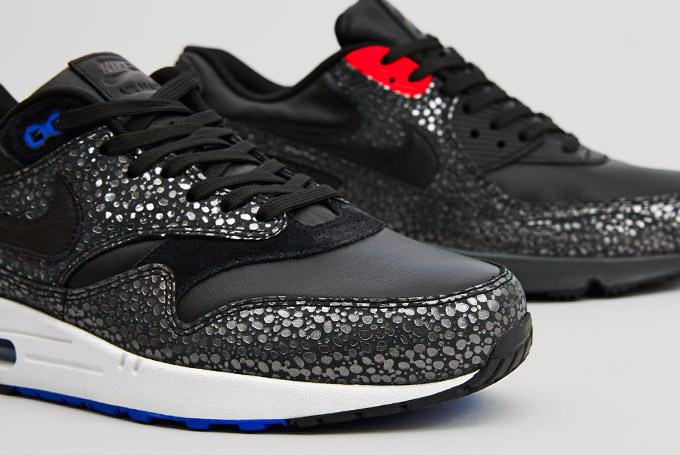 You might not think so, but at the very least, this "Safari" Air Max 1 will be way easier to get your hands on than those. See more imagery on them below and watch for them at accounts like Crooked Tongues soon.